She has been known to be Survivor's Original Black Widow. I was not able to watch her first attempt in joining Survivor during the second season on Australia(since I started watching on the Third) but I did had a glimpse of what THE Jerri is during the All-Star Season. I can never forget the booing of the fans during the Reunion Show. But tables turned during the Last Anniversary Season where she has redeemed herself and though she will always be known as a Villain, she has shown the her heart can be a Heroic Heart as well. She was my bet to win among the most powerful All Girl Alliance after Survivor Micronesia's Pack. Well, I don't have to elaborate why I like Eliza. I just like her attitude, her personality, I just like her period. The fact she had the most number of Exile on Survivor History, I really like her heroic acts. Though she failed during the last season where she was also part of the Heroes Tribe, when she believed in Russel instead of her Allies and switched with the Villains. She should have gone better on my Favorites ranking but because of that very move she did. But I still like her, I still do. What can I say, called herself the 'Shi-Devil'. She was the most and for me, honestly, the only remarkable Castaway during the Fifth Season on Thailand. She stood out of them all even though she did not place farther with the game. Also, she was a very important figure that resulted to Amber Brkish's win during the Survivor All-stars where Amber awarded her the Prize Car. Well that is just the First Five of the Top Twenty Castaways I will be running down. I just Love Survivor with all my Heart. I love the game, the people, the social rambles, I JUST LOVE SURVIVOR THAT'S IT! 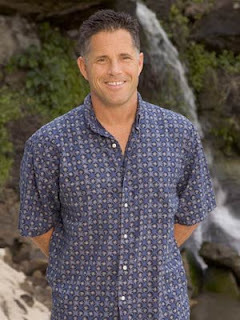 So Stay tuned for the next parts of this Series as I ran down the remaining Top 15 Castaways that made my list.